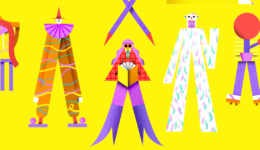 #Uenoland @uenodotco @visituenoland A/D/O 29 Norman Avenue Brooklyn Uenoland is a “conference” for people who like to get inspired about life and creativity. The kind we always wanted to attend but never found, until now. 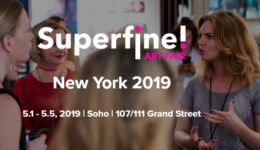 @superfine_fair 107/111 Grand Street Soho A boutique alternative to big box art fairs like Frieze, Superfine! 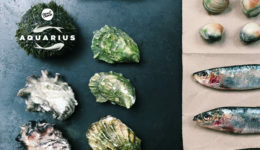 touches down in SoHo from May 1st-5th for its third New York edition. #BEAUTYCONNYC @beautycon Javits Center 655 W 34th Street Beautycon Festival New York is back for its 5th Year! 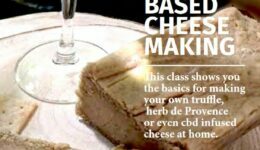 @ComeBackDailyNY 7-9pm Come Back Daily 381 Broadway Embark on a delicious plant-based journey into vegan cheese! 9:30pm-2am Hornblower Cruises & Events Pier 15 78 South Street All aboard for a St. Patty’s Day you’ll never forget! The luck of the Irish will be on your side as we set sail with plenty of drinks, music, and fun to keep you partying till the top of the morning. 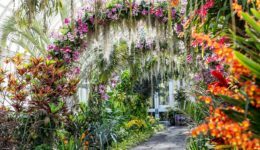 Dazzling tribute to the “City in a Garden” soars to new heights with thousands of orchids climbing to the sky. 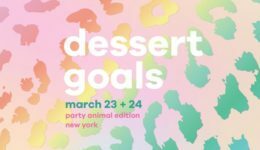 12-6:30pm Sound River Studios 4-40 44th Drive Queens Because dessert is always a good idea, Dessert Goals is back in NYC for our Party Animal edition (think colorful party vibes with animal flair)!